Schools students are the future of the state. They must get every kind of assistance and encouragement from the state government. But financial assistance is not enough. If the students do not have the right vision, and lack the decision making power, then they will not succeed in future. They need proper mentoring in the formative years. For this, the Madhya Pradesh government has announced a new scheme that will offer career and educational guidance to school students. The name of this scheme is Hum Chhoo Lenge Aasman Yojana. The declaration about this unique scheme has been done by the Public Relations Department of MP government. The decision was published on May, 2018. The state government wants immediate implementation of this program. It will be launched officially from 21st May, 2018. On the actual date of this scheme’s launch, CM Shivraj Singh Chauhan will address the student community. Development of school candidates – The main objective of this project is to bring about development in the academic career of the school students. Targets 10th to 12th standard students – The scheme has been implemented mainly for the students of 11th and 12th But students of 10th standard will also get some guidance. Academic counseling – As per the draft, all candidates, studying in 11th and 12th standards will be exposed to new opportunities. As these two classes are a transitional phase, the academic guidance will allow the pupils to make better and informed career choices. Career and skill development guidance – The state has a separate plan for the candidates who have failed to score good marks in 11th and 12th They will receive information about developing professional skills, which will come in handy to attain a job or to create self-employment opportunities. Guidance sessions for students with 70% or above marks– The scheme highlights two separate dates for student career discussions. From 21st to 31st May, 2018, only those candidates will receive counseling from the experts, who managed to secure 70% or higher marks. Guidance sessions for students with less than 70% – In case the total marks of the students is less than 70%, then they can opt for the professional counseling sessions from 4th to 14th June, 2018. Special arrangement for unsuccessful candidates – All students who passed 10th standard, along with those who have not been able to make the cut in 11th and 12th class will join the experts for special sessions. They will receive information about employment, skill development, and self-employment topics. It will be held from 18th to 28th June, 2018. Responsibility of implementation – The implementation of this scheme will be done in all districts of the state. The task of implementation will rest on the shoulders of respective Higher Education Council, School Education and Technical Education, Skill Development and Employment Departments in every district. Number of counseling centers – It has been mentioned in the scheme that there will be at least two such career counseling hubs in each district within the state. In case more experts are needed, it will be done by the District Implementation Committee. IT Labs and theoretical classrooms – Apart from this, it is the responsibility of the respective departments to see that the quality of all IT laboratories and theoretical classrooms is maintained. Online and offline discussions – Steps will be taken so that the candidates can take part in this discussions via offline as well as online methods. College counseling centers – Along with school students, similar centers will be constructed for college students as well. As of now, one such center will be opened in each district. 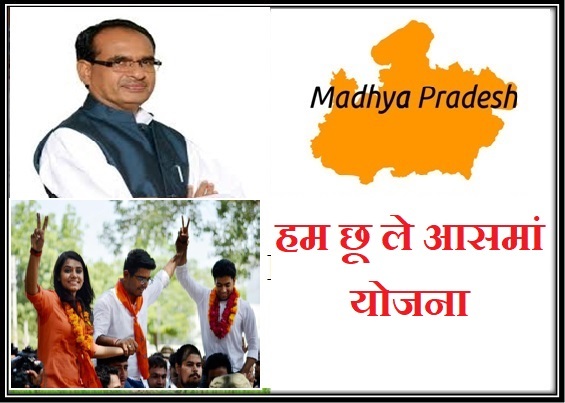 The scheme details will soon be available on the official site of MP government. Apart from that, interested candidates can get all necessary information from the helpline number. They just need to call on 0755-2770020. The phone lines remain active from 10 am to 11 pm. The literacy rate, especially in the rural areas is low. With developmental schemes like this, the state will assist and push the candidates towards success. Apart from this, poor candidates will get financial help under other developmental schemes.